Free shipping on all orders over £30. Processing time is 1–3 business days. 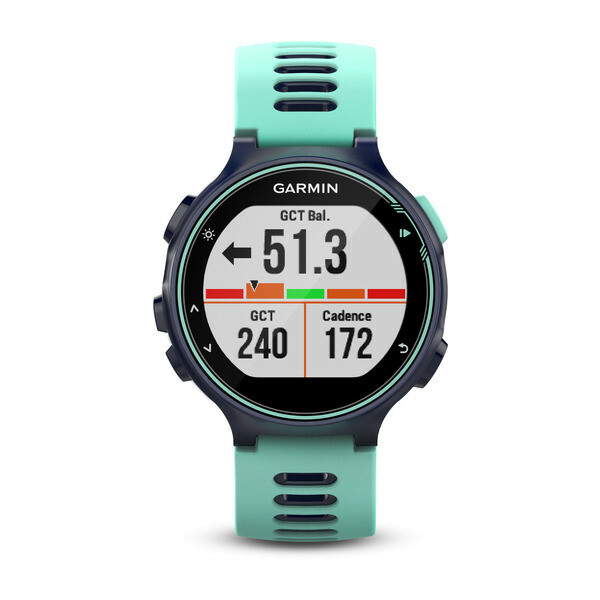 Be a better athlete on the track and in the water with Forerunner® 735XT. This GPS multisport watch is for athletes who want in-depth data as they train and compete. Thanks to a smaller form and comfortable band, the 735XT is the ideal watch to get you through your workout and your workday. It even doubles as an activity tracker to count your steps, calories and sleep. Get the data you need to beat yesterday. Your routine is anything but routine. 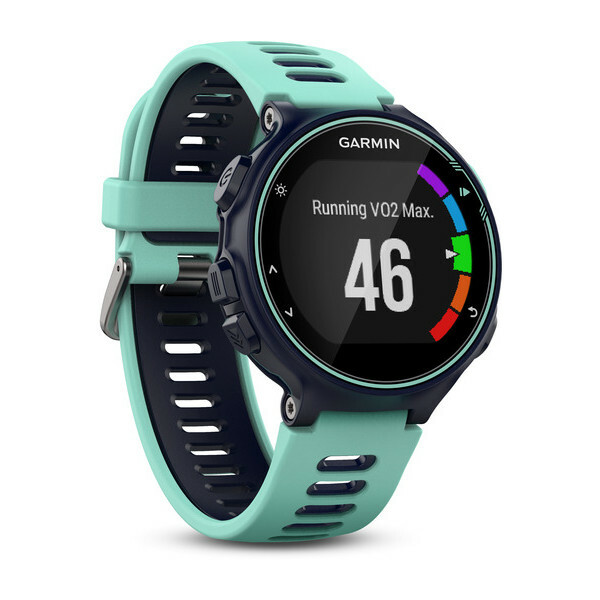 Forerunner 735XT lets you change things up with ease thanks to built-in activity profiles for running (indoor/outdoor), cycling (indoor/outdoor), swimming (pool/open water), cross-country skiing, paddle sports, trail running, hiking and strength training. For brick workouts and du/triathlon races, the auto multisport feature lets you switch sports with just 1 button press. The 735XT is compatible with advanced workouts for running, cycling — and even pool swimming. 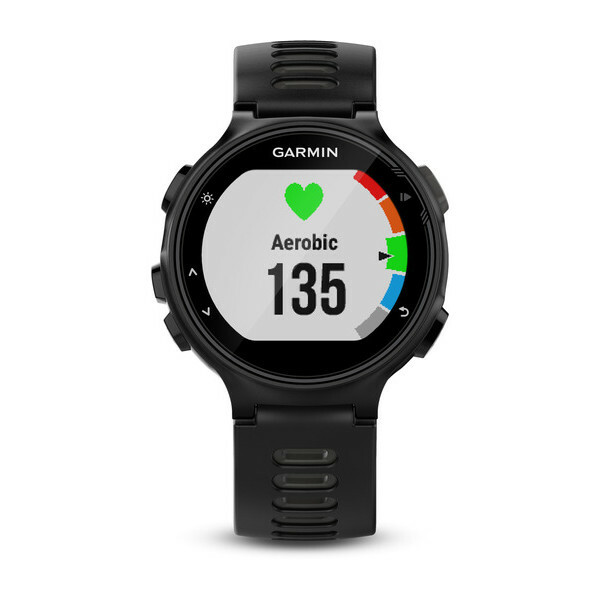 Create your own custom workouts and download for free from Garmin Connect. 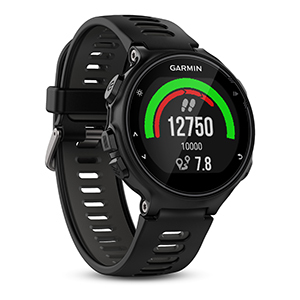 Forerunner 735XT is our first multisport watch with Elevate™ heart rate technology to measure heart rate at the wrist. Now you can compete with freedom when it’s time to get on your bike or toe the line. 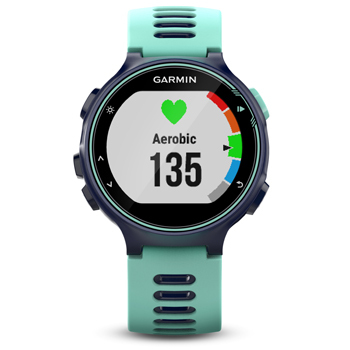 There’s no need to wear a chest strap to see your vital stats – see your heart rate zone and beats per minute, all in real-time and displayed on a colourful gauge. Wrist-based heart rate may suit your needs to a “t” on race day, but when it comes to training and recovery, you need more in-depth data. 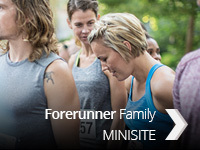 With Forerunner 735XT, you have plenty. Forerunner 735XT is the first running watch that’s compatible with Strava Live Segments and includes a 60-day free trial to Strava Premium. With this membership, your starred Strava running and cycling segments automatically sync with the 735XT for live feedback during your activity. You also get alerts for segment starts and finishes, view leaderboard rankings, and see how your current effort compares to your PR. In addition, get post-workout access to another great feature, Strava Suffer Score, which analyses your heart rate during your workout and ranks your total activity effort, so you can see if you beat yesterday by showing you just how hard you pushed it during your workout. 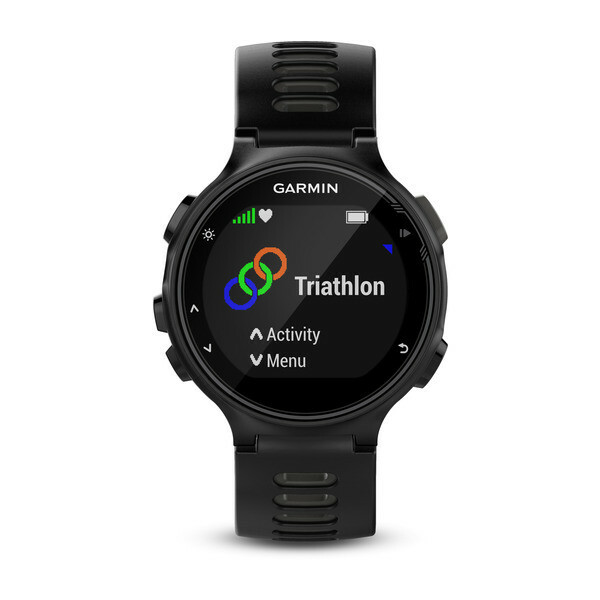 Smart notifications3, automatic uploads to Garmin Connect3 and live tracking make the 735XT the ultimate smartwatch for athletes. Keep your phone tucked away when you’re on a long ride or run and get all your notifications at the wrist so you can decide to respond or keep moving. You can even customise your device with free watch faces, apps and data fields from Connect IQ™. LiveTrack lets family and friends track your location in real-time while you’re riding, and now it’s even easier to use. When you enable auto-start, you can spend more time focusing on the ride and less on the technology. LiveTrack will automatically detect when you start riding, which means there’s no need to even reach for your phone anymore. Auto-start is also compatible with the new Strava Beacon, which lets Strava Premium subscribers take advantage of the same great feature. It’s never been easier for you and your loved ones to have peace of mind while you ride. 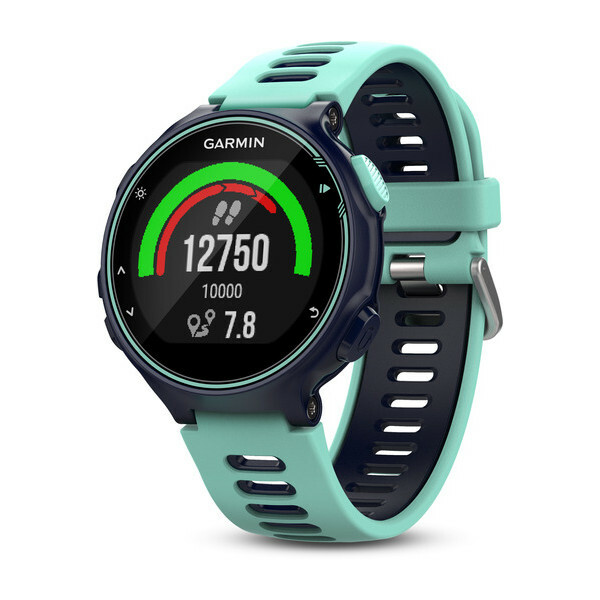 Get more from your miles at Garmin Connect, our free online community where you can save, plan and share activities. Beat yesterday by nailing a new personal record — we’ll keep track so you can view your victories all in one spot. Get digital insights5 tailored to your stats and habits, like cues to move and healthy tips. Connect with other users to challenge and compete. Available on your desktop or compatible mobile device. Just like you, Forerunner 735XT keeps going all day long. 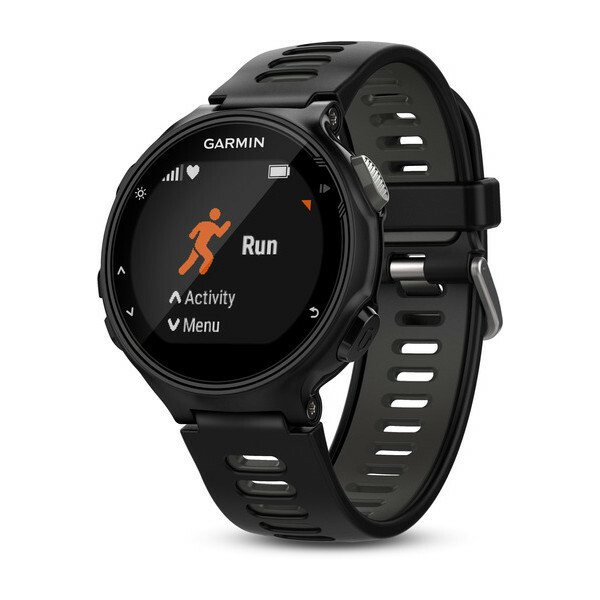 This watch becomes your partner in recovery with all-day activity tracking6 that monitors steps, calories and sleep. It’s also compatible with our line of Varia™ cycling awareness devices, including rear-view radar, smart bike lights and Varia Vision™ in-sight display. 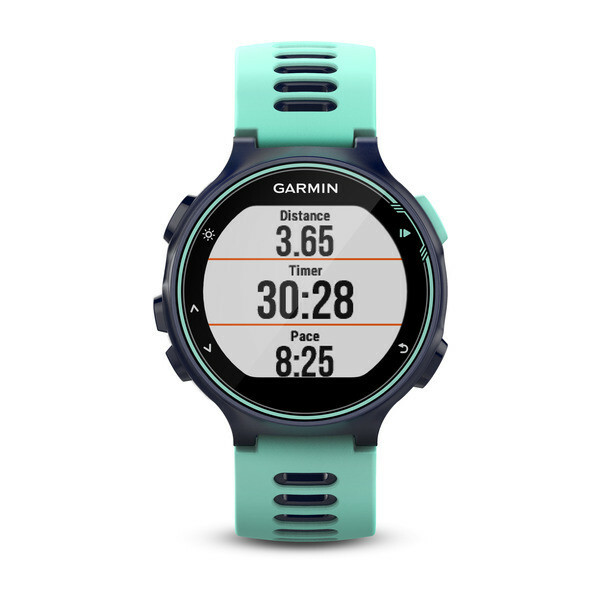 Download the free Garmin Face It™ watch face app to customise your device with any photo from your smartphone. Just download the app, choose an image from your photo library, adjust the style for time and set it as your watch’s face. Whether it’s a scenic view from your last hike or a picture of your new puppy, with Garmin you can add personality to your watch that’s uniquely you. 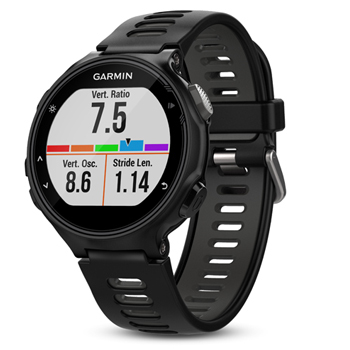 ¹When used with HRM-Run™ or HRM-Tri™ monitor; included with some models, sold separately on others. ²When used with a chest strap heart rate monitor. ³When paired with compatible phone. 4When used with HRM-Swim™ or HRM-Tri monitor; included with some models, sold separately on others. 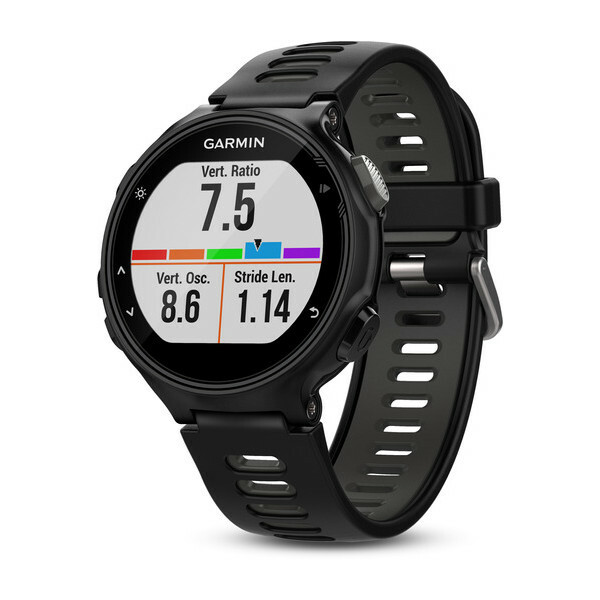 5Available to Garmin Connect customers who are using activity tracking features. 7Swim features are designed to work for the four recognized competitive swim strokes. The drill logging feature can be used for other swimming styles.